Fruit, vegetables and berries lose flavour, shape and structure from freezing. This is because ice crystals formed during freezing causes the cells to “explode” resulting in immediate cell death. This event is particularly visually obvious for plants with soft structure, such as strawberries, but also applies to root vegetables such as spinach and lettuce. Most likely, you are also familiar with the sad appearance of your spinach or strawberries when retaining room temperature after long term storage in the freezer. OptiFreeze AB has a patented CEPT technology that enables the taste, shape and texture of vegetables, fruit and Berries can be ensured through the freezing and thawing process. The technology opens up completely new markets and business opportunities for food industry companies and companies in freeze/refrigeration technology around the world. The result of the Optifreeze CEPT technology is that the cells of vegetables, fruits and berries incorporates natural antifreeze protein and sugars that keep the cells alive (!) through both the freeze and thaw process and thereby preserving the flavour, shape and texture. Today, there are no known direct competitors. C.E.S.I.´s initial concern was that no big player within the global food industry would be a sufficiently attracted prior to any product launch (proof of market concept). Now, the announced Optifreeze-Orkla ASA activities has removed this C.E.S.I. concern. There´s more than a single potential driver for the global food industry partner: Increased Quality, Less waste, Better access, New products and Lower Transportation Costs. 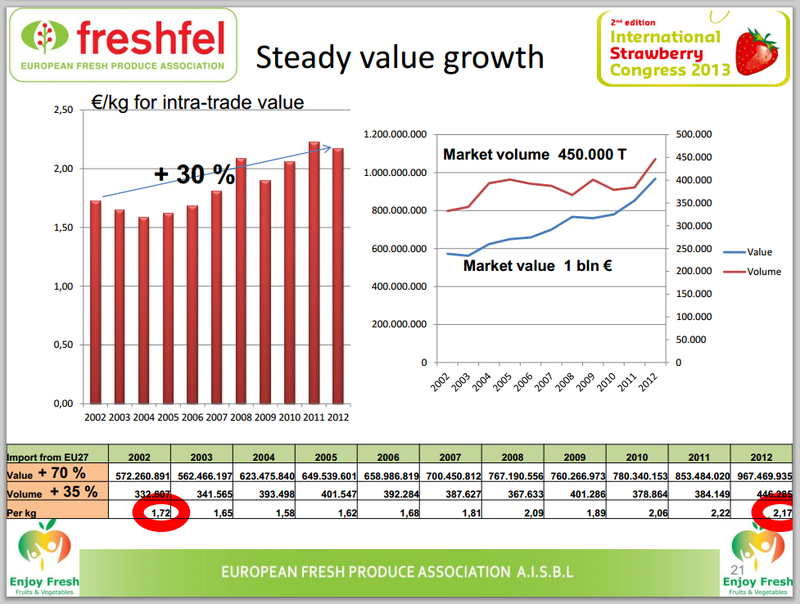 According to European Fresh Produce association, the 2013 world´s total strawberry world´s trade value is roughly 16.8 Billion SEK (1.8 Billion Euro, page 8) and rapidly increasing. CEPT is Closed Environment PEF Treatment. PEF is the abbreviation for Pulsed Electric Fields (PEF) or electroporation, a technique that is routinely used, for example, in the introduction of new genetic materials into cells. OptiFreeze is the result of a long period of research at the Department of Food Technology, Lund. The company was founded in 2011 by Arc Aroma Pure AB (also listed at aktietorget), LU Innovation and a number of researchers at the Department of Food Technology at Lund University. Operations are based on Skiffervägen in Lund the company conducts method and product development in-house and with partners. In the next few months, the company will, together with partners, industrialize the technology. Orkla and OptiFreeze have signed an agreement under which Orkla will participate in the industrialization and commercialization of the OptiFreeze technology. The goal is to implement a market test with treated products in 2015 and achieving large-scale production in 2016. The long-term cooperation agreement means that the parties will jointly contribute to industrialize and commercialize OptiCept ™ and Opticap ™. The goal is that frozen products treated with the OptiFreeze method will be tested on the market in 2015. This will be implemented before a major launch planned in 2016. This agreement is a very important piece of the puzzle that has fallen into place in the efforts to industrialize and commercialize the company’s products. Orkla is a strategic partner that brings a lot of know-how in a number of important areas, says Fredrik Westman, President OptiFreeze AB. As we previously reported, the pilot tests conducted with Orkla terminated prematurely when the parties were pleased with the results. The collaboration has run very well, Orkla is a competent and important partner. I note that we have now taken an important step forward in accordance with the company’s strategy, while the agreement gives us the opportunity to implement other collaborations with some of the parties (ongoing discussions). These collaborations can be completely separate projects in other segments but also another company within the same project, says Pär Henriksson, Chairman OptiFreeze AB. OptiFreeze is working on several fronts and in discussions with potential international partners. The focus of the objective is to industrialize the company’s products, and find companies that have the capacity to handle the marketing, sales and support at the international level. Orkla ASA is listed on the Oslo Stock Exchange and headquartered in Oslo, Norway. Orkla is a leading supplier of branded consumer goods and concept solutions to the grocery and out-of-home sectors in the Nordic and Baltic regions. In addition, the Group holds good positions in certain product categories in India, the Czech Republic, Austria and Russia. The company is also a major supplier to the European bakery market. Orkla’s vision is to improve everyday life with healthier and more enjoyable local brands. As at 31 December 2013, Orkla had around 17,000 employees. The Group’s turnover in 2013 totalled NOK 33 billion. C.E.S.I. Conclusion: Orkla seems to be a perfect match for Optifreeze. The successful Optifreeze-Orkla pilot test was a critical milestone for Optifreeze company. “In recent months we have made great progress and we are approaching one of the most important goals at a rapid pace; industrializing the OptiFreeze technology. Our products OptiCept ™ and Opticap ™ allows food industries making the impossible possible, namely to freeze products that normally do not tolerate freezing. Thus, we have the potential to transform the market for frozen vegetables, fruits and berries. The reason is that we have the knowledge and a unique technology to open new markets, products and business opportunities. With our technology, sun-ripened fruits and berries in South America can be harvested at exactly the right time, cut into perfect pieces, frozen at the very same place and finally transported to the food, bakery and confectionery businesses and consumers around the world. 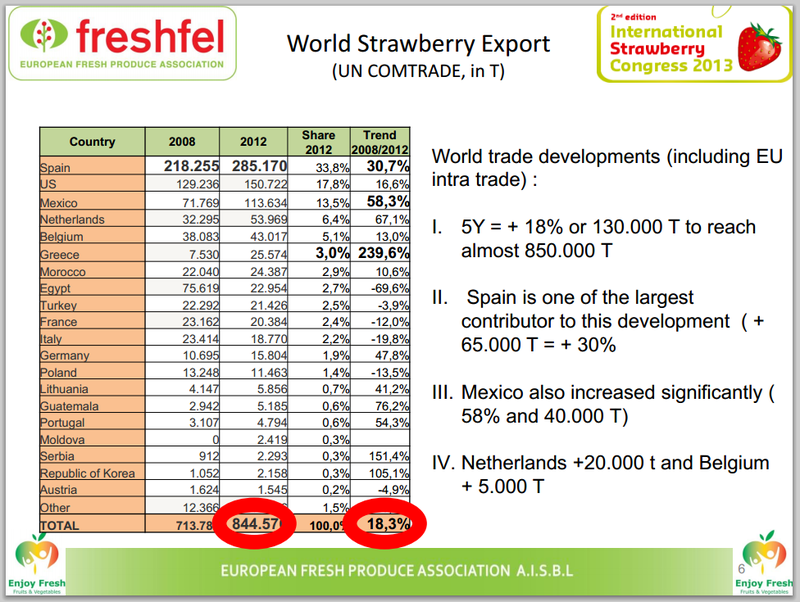 Swedish berry companies can export red and sweet strawberries to the Swedish communities in North America. African vegetable and fruit growers are given the opportunity to refine and sell great products for example in Asia and Europe. Examples of opportunities are many and it has become increasingly evident that OptiFreeze has a technology that has the potential to change the conditions for growers, distributors, food processors and refrigeration technology companies, consumers, restaurants, pastry shops and bakeries. New types of products can be offered in new ways to new markets. Thus, we make it possible to add value and profitability in a variety of industries. Since the last report, we have reached another important goal, namely signed an agreement with Orkla to cooperate closely where we jointly industrialize and commercialize the company’s technology. Having a reliable industrial partner who believes in OptiFreeze and our technology and its capabilities brings us even closer to industrialize the technology. The work has been flying start. Currently the company’s product and method developers are working together with, among other things, Pär Henriksson and Anders Boman at Arc Aroma Pure and several other people with the up scaling of the technology. The work is supported by knowledgeable and experienced people in OptiFreeze´s newly elected Board of Directors. Within a few months, we have built a team of employees, board members and partners. Currently, we are evaluating a range of potential partners and strategies and we are well aware that the company has a technology that food industries and freezing technology companies are interested of. But we are also careful that future policy options are not closed. We do not want to rush off and give any actor great benefits without the shareholders and the company guaranteed to make a profitable deal in return. And a company that has the potential to transform the market for frozen products can afford to set high standards. In Q3, the company completed yet another essential measure of the company’s strategy by completing what we call “tech transfer”, the transfer of technology from the university to the company, which means we are now engaged in the development of methodology in their own labs. During the quarter we invested quite a lot of money in lab equipment. In return, facilitated cooperation with our partners and we can focus more on development work faster leading to cash flow. Meanwhile, we have a fantastic collaboration with researchers at the Department of Food Technology at Lund University. Alias Axl08: Hi! How does the company in five years? Optifreeze: In 5 years we are a company that comprehensively focuses on methodology and technology to take us into new markets and be able to apply the method to new products. In 5 years we have become a famous brand in the food sector, from producer to consumer. Alias Purfärsk: Is there anyone, as far as you know, who have tested similar technology to freeze food? Optifreeze: No, we are not aware of any similar technology. Alias Purfärsk: What is the biggest challenge for OptiFreeze the next two years? Optifreeze: The biggest challenge is to scale up from pilot to full scale. And to strengthen the team. We are focused on the task and the company has a number of driven people who work hard. “We will work hard to lift out the methodology and technology from the research environment to commercial application. Alias jordgubben (edited/shortened question): ”I can understand that electroporation can reach the strawberry´s outer cell layers. Will the electroporation also reach the inner parts of the berry? After treatment, will then the berry be “totally perforated” or what is the outcome? Optifreeze: It is not only the outer parts of the product that is treated. It is also the inner parts. In fact, it is easier to treat the inner part of the strawberry. Alias jordgubben: How does thickness and size of the substrate correlate to the result of the treatment? Optifreeze: In principle, size and thickness are of no relevance, but today we find the treatment simpler for smaller products. Currently, scale-up work is being pursued to enable treatment of larger products. Alias jordgubben: You raised money in a share rights issue. How long do you estimate this money will last (May 8, 2014)? Optifreeze: The money should last for approximately two years. Alias Ess: What is the cost of treatment of 1 g of product? How much energy is consumed? Alias Nyfiken: Many research companies remain in the lab for years. How will you avoid this and instead be successful in the market place. Optifreeze: Already, we have started the productification work and aligned our work in a way that the company can start making money from sales of OptiCept and OptiCap. We have ”cut the umbilical cord” with the researchers at Faculty of Engineering LTH (Lund University), but we will continue our collaboration. Jointly, we will explore new applications and products. However, currently we focus on vegetables, berries and fruits of interest for the food industry. Moderator: Is Optifreeze dependent of the Arc Aroma Pure´s CEPT-technique? Optifreeze: No! There´s other providers of generators, but we benefit from having access to the competence provided by Arc Aroma Pure. Moderator: Which OptiFreeze – Arc Aroma Pure collaboration opportunities and synergies do you see? Optifreeze: Optifreeze is a company which focuses on chemistry and food. Product development will be in focus. Arc Aroma Pure is specialized in electronics and product development. We believe we will complement each other. Arc Aroma Pure is a more mature company, administration included, and the company has been listed (Aktietorget) for a longer time. Therefore, Arc Aroma Pure is also more mature in respect to leadership, quality and internal routines. Furthermore, the company is specialized within electronics and product development. Within all these areas, the companies can mutually benefit from collaborations. Moderator: Can Optifreeze be classified as a GMO company (GMO = Genetically Modified Organism)? Thus, are the product´s genes modified? Optifreeze: No, we do not modify the genes in the treated products. Moderator: How will you secure that the market place won´t classify your products as GMO products? Optifreeze: We capture all possible opportunities to inform about our methodology and at these occasions we also stress that our business is not about modifying genes. Alias a: Who are your competitors? Optifreeze: Conventional freeze technology and air transport of immature products. For example, there are a company that combines drying and freezing, but then water must be added during the thaw process. Today, we face no direct competition. In addition, we believe our patent portfolio is strong. Alias a: Could you inform us about the company´s business- and revenue model? Optifreeze: We will charge both for the treatment line entitled OptiCept and for Opticap that is the compounds, namely sugars and anti freeze protein. OptiCap will generate recurring revenues. Alias Ess: Will you apply for a US version of the CE mark? Optifreeze: Yes, that is for sure. However, this is a future plan. Alias a: Have you industrialized the process? Have you demonstrated the process to be successful also in a non research lab environment? Optifreeze: We have had this discussion with specialists from a food industry company. Their conclusion is that no specific permissions are needed. The relevant question is if information should be printed on the product´s table of content. The added compounds are natural compounds and these are also used in other products such as ice cream etc. Moderator: What is the cost of treatment (fruits, berries and vegetables)? Note: Currently, C.E.S.I. does not understand the meaning of “capital-” in this stated phrase. Alias jordgubben: Is there a risk that access to anti freeze protein will be limited and thereby a liability for Optifreeze? Optifreeze: In the past, the access to antifreeze protein was limited, but currently both the usage and the access are increasing. Therefore, the price of anti freeze protein is rapidly falling. Alias Ess: Will the company Arc Aroma Pure be a long term owner (also post the May 2014 share rights issue)? Alias a: The Optifreeze methodology seems to aggressively increase cost compared to conventional freezing. How will your customers motivate this fact? Optifreeze: – By increased quality, less waste, better access, new products and lower transportation costs. In addition, only a very small amount of compound is used per kilogram and the price of the compound is rapidly decreasing. Moderator: Will the food industry increase the price on products that have been treated with your method? Will the end customer pay a higher price compared to today? Optifreeze: Champagne and Swedish strawberries on New Year’s Eve! We believe a higher cost will be accepted. However, it is fundamentally impossible to answer this question today. Some products that today are conventionally freezed can potentially be replaced be replaced with our products/technology. But the primary driver for the food industry companies is new products to market, independently of the year´s season or geographical distance. It is these business opportunities that attract the food industry companies. Alias a: Have you performed market research in the aspect of price sensitivity? What type of feedback is obtained regarding the increased cost (1.5 – 8 SEK / kilogram)? Optifreeze: Yes, we have performed through market research and the food industry´s interest is strong. The food industry predicts that they can increase the number of products and also revenue. Optifreeze: One employed method- and product developer. A hard working board and several (paid) consultants. Moderator: Which products can be treated with this method? Optifreeze: We have performed sharp tests on spinach, strawberry and parsnip. Generally, the method is most successfully applied on vegetables, fruits and berries with homogenous structures. Moderator: How large is the market for the Optifreeze products? Can the market be estimated in financial terms? Optifreeze: It is impossible to estimate the market in financial terms. The only thing we do know is that food industry companies visualize business opportunities, because they can offer new markets and new products, but also old product in a new regime. We also know that there are new products out there waiting to be produced. We have a squared sheet of paper in front of us and on this paper only a few squares are currently filled. Moderator: When will Optifreeze launch the first product (May 8, 2014)? Moderator: Who will buy the products? Who is the customer? Alias jordgubben: Are the result affected by the actual freezing temperature? Optifreeze: To some degree. Today, well-controlled industrial freezers must be used. Moderator: Are there currently ongoing discussions with food industry companies and/or Freeze technology? Optifreeze: We have very good contacts within both food industry companies and freeze technology companies. The feeling is very positive due to that a few companies actually have contacted us, not vice versa. These companies are curious and interested. We have had a live demonstration of the method and since the interest has grown even stronger. Alias a: Will this technique replace current freezing technology or is it a complementary technology – a “niche technique” – that focuses on a specific area? Optifreeze: Primarily, our technique is a complement but will presumably be a replacement in some cases, e. g. when immature vegetables, fruits and berries are air transported to customers. A relevant example is strawberries. Frozen strawberries are easily accessed, but the applications are limited due to the low quality of conventionally frozen strawberries. We want to change this fact. Moderator: Is it the end customer that will thaw the products? Optifreeze: Yes feels like the natural answer, but it could be the retailer that will thaw the products and subsequently sell them as fresh products. Alias a: How do you define industrial scale? What is the capacity per machine? Optifreeze: That depends on the customer, but more likely metric tonnes than kilograms. Alias a: What is your estimated turnaround- and revenue growth in the next 2-3 years? Optifreeze: In 2017, Optifreeze aim to have 6 OptiCept in production. Alias a: Which are the greatest risks in the company and the strategy? Optifreeze: Technical risks during scale-up, that the market will erroneously classify us as a GMO business, key persons that leave the company, funding and external world factors. In fact, a lot, but we are focused on our task. Alias a: Will there be Optifreeze industries which will freeze products on demand or will you solely provide installations at the customer´s facilities (as the Nespresso-concept)? Optifreeze: We will not hold own industries. We will solely sell installations and compounds, but as previously stated: We aim to become a method- and technology development company. Alias a: What is your estimate of profit margin? Optifreeze: Final price = Cost of production x 5 (C.E.S.I. : !). The following summary covers the period 2014-01-01 to 2014-09-30 with comparative period 2013-01-01 to 2013-09-30. The following summary covers the period 2014-07-01 to 2014-09-30 with comparative period 2013-07-01 – 2013-09-30. The author, Cutting Edge Science Invest, is currently an Optifreeze share holder. Cutting Edge Science Invest can not guarantee, or take into accountability, the content of truth and accuracy of the information in this article/post.Thus, Cutting Edge Science Invest requires that a possible reader gather complimentary information if any type of investment in the company described above is considered. Cutting Edge Science Invest provides personally biased information and at best also “general information and opinions”. The article/post does not contain professional investment advice.